except for the heart attack I nearly had, so we left it in the grass to find a new home. 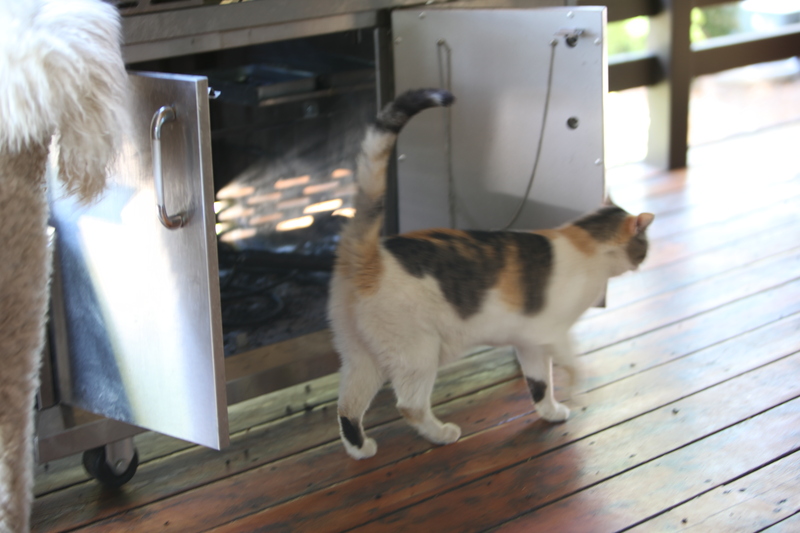 I went back to grilling determined not to let that mouse ruin the great dinner I was fixing. 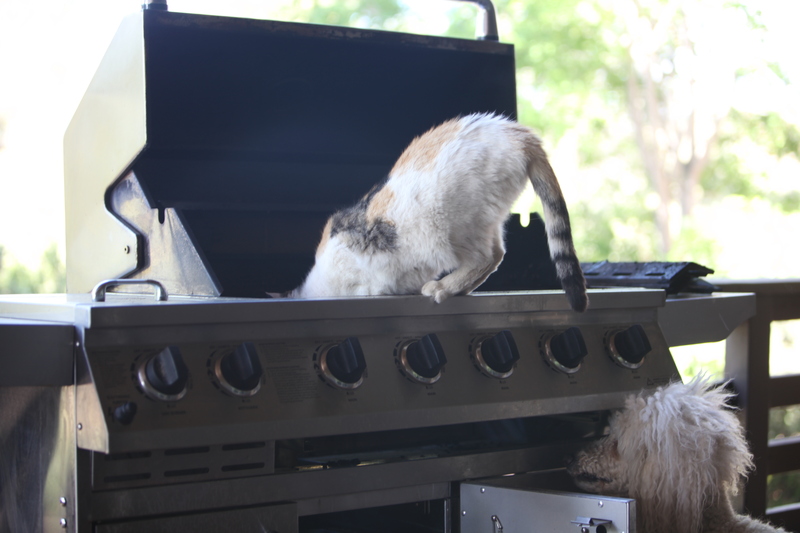 Claire kept fussing at the grill. 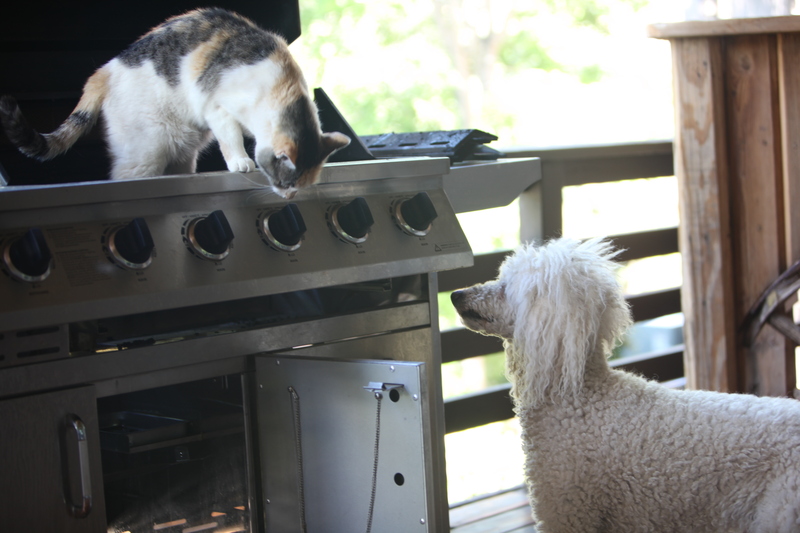 Mind you, she had been fussing at the grill for days unable to convince us that there was anything in it…..that is the last time I don’t believe her. Three mice later and she was still insisting there was another. I had vacuumed, scraped, and scrubbed that grill. I got out the screwdriver and took the front off the grill, I tore that thing apart! Yet, when I looked where she was sniffing I saw another pair of little black eyes staring back at me…….. I think I’ll bake for a few meals until the store-bought catch and release traps work.